You should expect a stormy dark cloud at 9:00 P.M. EST that is full of a rare and elusive creature for 24 hours. The cloud is expected to hit the fire nation and linger around there into some hidden location afterward. Thanks Reb, I'm so exited! 1 more minute until it rains. Assuming the 4-dragon cap is still there, y/n? Mineya wrote: Assuming the 4-dragon cap is still there, y/n? Rebsingh wrote: You should expect a stormy dark cloud at 9:00 P.M. EST that is full of a rare and elusive creature for 24 hours. Erp! Crazy thanks, by the way. Edit: is it an hourly storm? Just curious. nightowl wrote: Thank you so much! I do not see aneh rare things..
heh, gone right as the page loads for me. how fun. I'll get some I hope... I won't be able too later tomorrow though so tonight I must at least get one. I like the proposition that these eggs are raining down from the sky. Like, one can only imagine what's going on in that swirly dark cloud up there. I... I kenw that. Darn. I don't have any slots. Whatever >___> I'll abandon, then get them. /evil but guilty. Mineya wrote: I like the proposition that these eggs are raining down from the sky. Like, one can only imagine what's going on in that swirly dark cloud up there. Heh, that suddenly got me thinking: "The dragons don't seem to want their eggs/want to get their revenge on the humans, therefore, they have called a dark cloud and began to drop their eggs, hoping to hit an unsuspecting hooman." 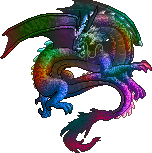 KonayukiSpirit wrote: Heh, that suddenly got me thinking: "The dragons don't seem to want their eggs/want to get their revenge on the humans, therefore, they have called a dark cloud and began to drop their eggs, hoping to hit an unsuspecting hooman." Hey Dragonhatchling if you dont get one I have an extra female you can have. lol, I almost missed this but some thing in my mind told me i had to get on here quickly for some thing important.